“I didn’t go lookin’ for Remy Granger that night,” begins a tale that promises danger and romance. 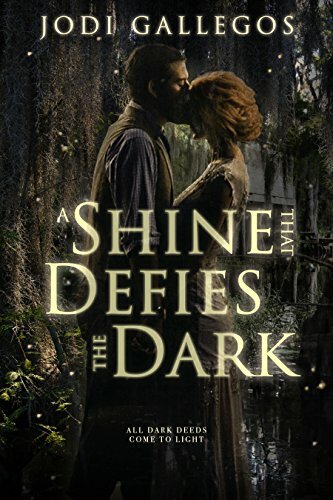 Set in the Louisiana bayou during the Depression, A Shine That Defies the Dark reveals the struggles of Ophelia Breaux and her widowed mother during this hard economic time. Ophelia meets up with Remy Granger at a party one night. 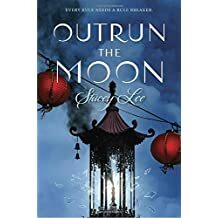 She finds herself attracted to him despite his family’s reputation for trouble. Ophelia warns herself to stay clear of Remy. But when she sees her mother compromising herself with Judge Trudeau just to pay the rent, Ophelia decides to join the notorious Granger gang. It’s the only way she can make enough money to free her mother from the judge’s control. Ophelia becomes entangled in the Granger’s bootlegging. The illegal business of moonshine brings big money. It also draws revenuers and prohibition agents, along with prison sentences—if the bootlegger survives a rain of bullets. Rival bootleggers also pose a deadly threat. Along the journey, she discovers Remy is more intoxicating than the “shine” they’re running and falls madly in love. But will either of them live to fully experience that romance? Gallegos infuses the story with rich description of the Louisiana bayou, uncovers the secret world of the bootlegger, and pulls the reader into an exciting journey through history. This page-turning novel will keep you in suspense! How long have you been writing? I’ve been writing, in some form or another, for as long as I can remember. I’ve always expressed myself best through the written word (anyone who has had an actual conversation with me can attest to that, lol!). I decided in 2001 that I’d like to pursue publication. From that point I focused on learning about the business of writing as well as the craft so that I’d have a better understanding of every aspect of what it means to become a writer. What are your favorite genres to read? I read almost anything. My choices are based on how effectively the book description grabs my attention. That said, I do have a fondness for Young Adult (YA) and for psychological thrillers. What advice do you have for beginning writers? 1) Take every opportunity to learn more about the business as well as your craft. 2) Start to establish your platform/online presence now. 3) Engage other writers/aspiring writers and build your “tribe”. It’s so important to have a group that can support and assist each other. 4) No matter how defeated you may feel, don’t give up. You’re a writer because you write, not because you’re published.